I have been wanting a nice new machine for a long time, and am now in the process of selecting one that suits my needs within a reasonable price range. So far I am leaning towards getting a Janome DC2030. I bought two colour variants of the ladybug fabric, but I think I’ll make them using the dark blue fabric and pair it with green. And then I’ll probably use the light lilac bias binding from my apron project. I’ve begun to trace the pattern and cut it out, but I am a bit confused about the line with the scissor symbol on it a bit further up the leg of the front and back piece of the pants. I am pretty sure I shouldn’t cut there, so for now I am just going to ignore it. It doesn’t say anything about it in the instructions. If you have a suggestion as to what it means, please do tell me about it. This will be my first time sewing something for my cute baby girl. I am crossing my fingers for a good result that she can wear. This morning I realised that we didn’t have any bread for breakfast in the house, and since I was quite hungry I wasn’t going to settle for ceraal with milk. 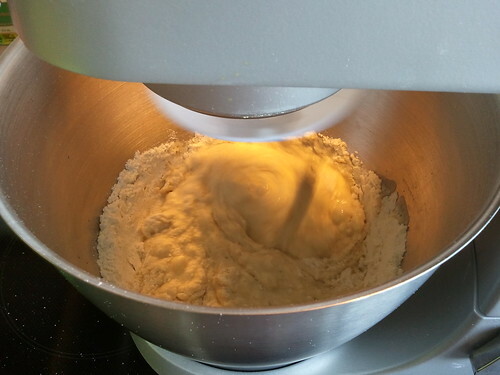 I did a quick search on the internet and came up with the obvious answer: bake some scones! My go-to recipe for scones have yoghurt in them, and we didn’t have any yoghurt either, so I couldn’t make those, but I found a recipe for oat scone that sounded nice and wanted to try it out. 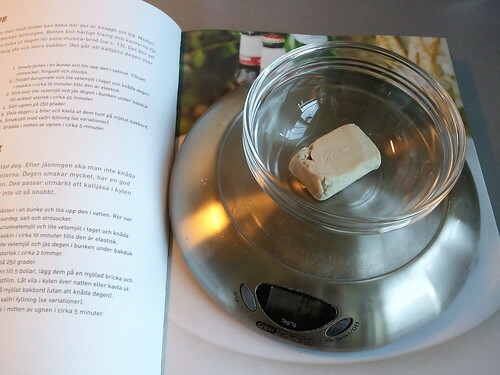 Problem was that it called for buttermilk, and for some reason, you can’t get buttermilk in Sweden. I usually substitute with filmjölk, but I also didn’t have that in the house, so I opted for just using regular milk instead. I don’t like raisins, so I left them out. 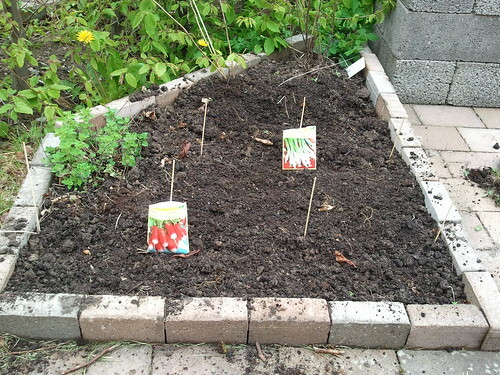 And I am sure they will taste great with chocolate – have to try that someday. 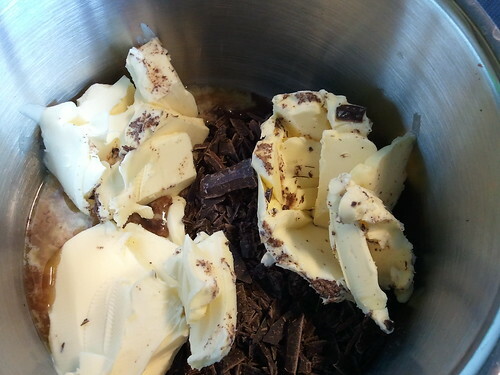 Then stir in milk and butter and add the rest of the ingredients and combine well. Roll out to 1,5 cm thickness and cut out approx. 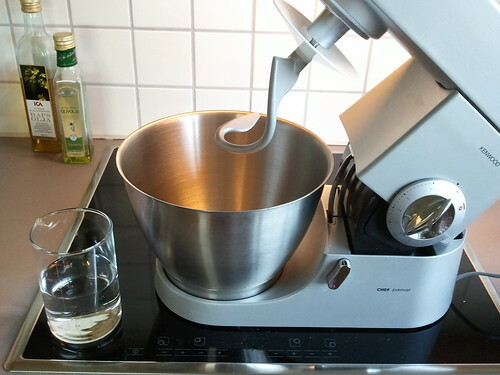 12 scones using a cutter or a glass. Brush with egg before baking in a 200 deg. 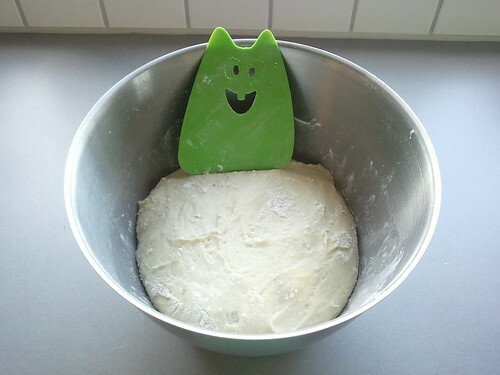 C preheated oven for 10-12 minutes. Serve hot or cold with your favourite scone topping. These turned out tasty even though I didn’t use buttermilk. I think I will try them with a bit of chopped dark chocolate in the dough next time. 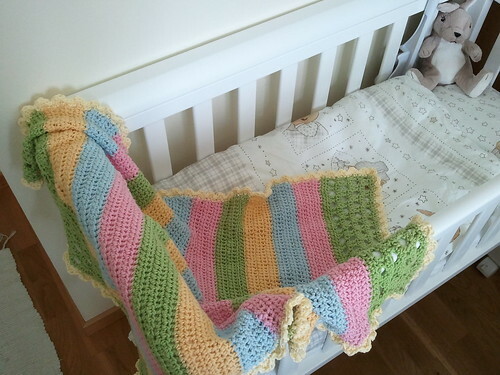 My daughter was born last year in September, and while I waited for her to great the world I crocheted a blanket for her. 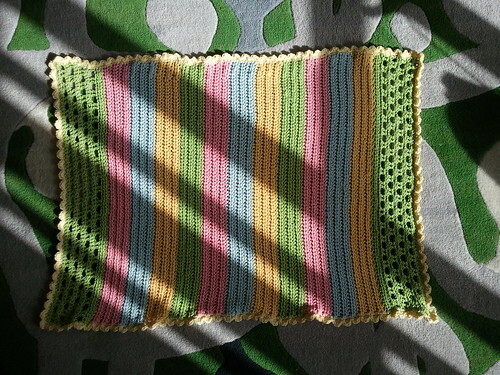 I wasn’t much of a blogger back then, so when I put my baby girl down for her nap the other day, I started contemplating about bragging a bit on my blog about this lovely blanket that I crocheted. 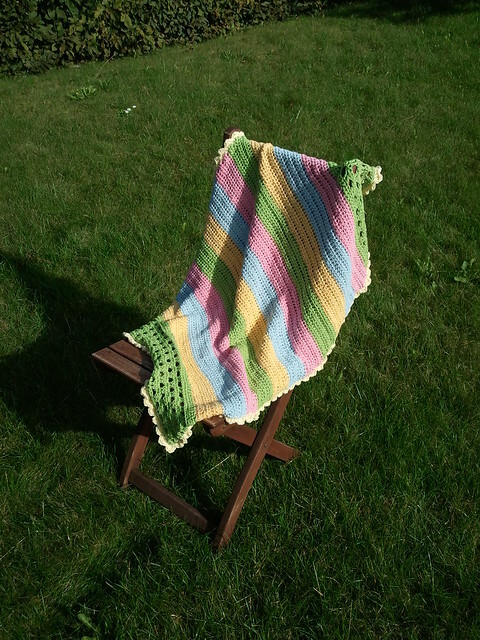 The main part of the blanket is made with half double crochet along a row and then next row single crochet in front loop (or maybe it was the back loop? 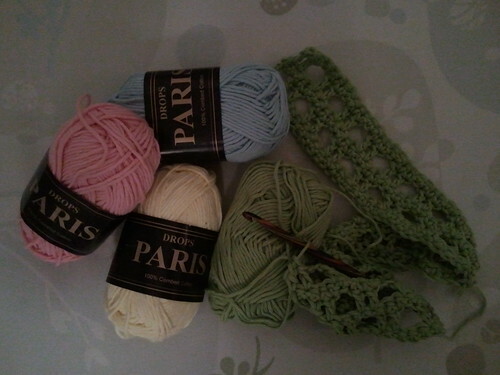 ), then repeat that through with a change of colour after 5 repeats. The edge is some sort of shell stitch. I guess I could look at the blanket and see what I used, but I just but baby girl to sleep for the night and the blanket is in her bed. 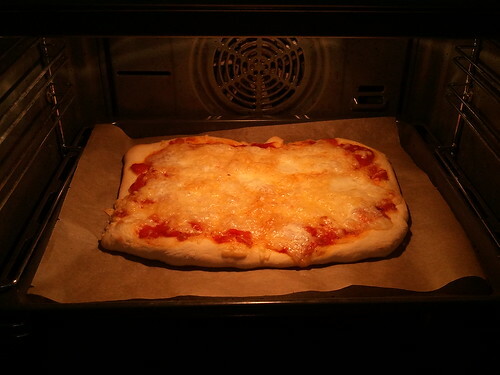 I am really satisfied with the result. It has been much used and will probably be loved for years to come. 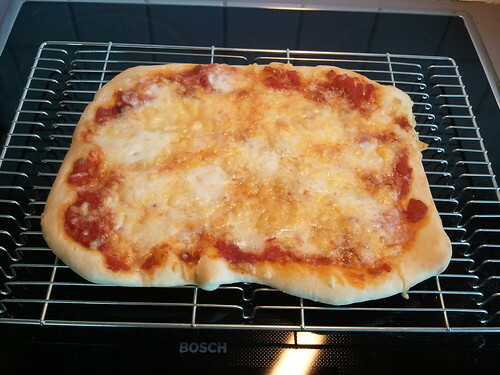 I like to cook, but I love to bake, so I guess pizza is a win win for me. 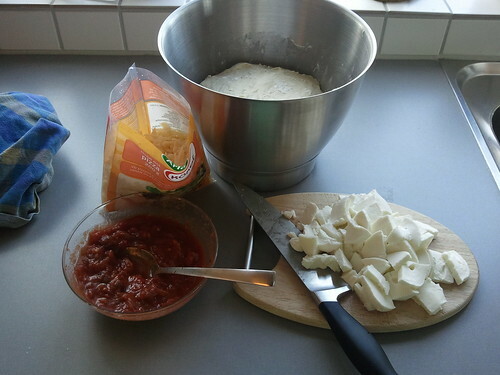 Also, when making pizza I get to use two of my favourite kitchen utensils! 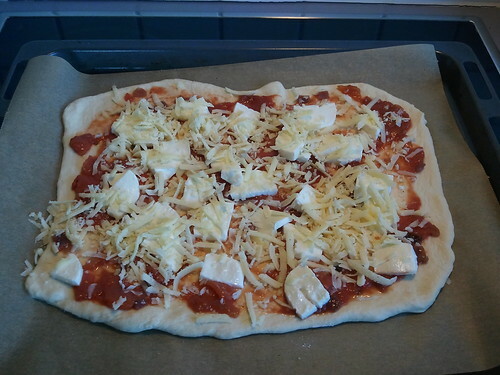 The recipe says to make 4 big pizzas and bake for 5 minutes. I make 2 and bake for 12 minutes. 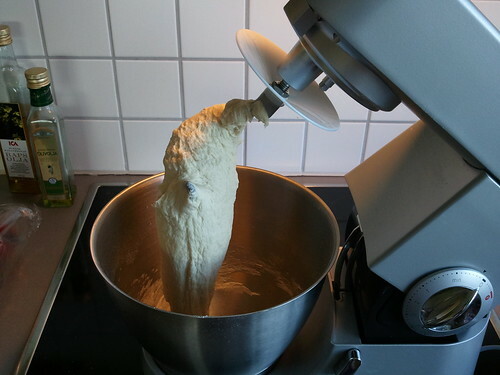 My Kenwood mixer! 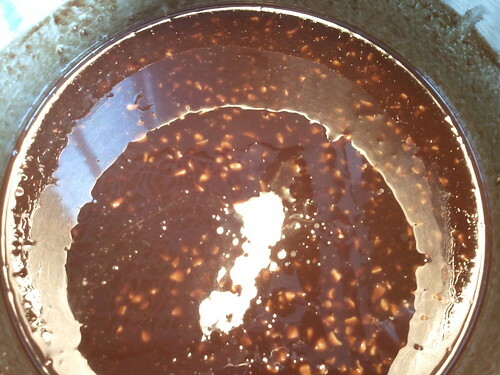 – I use cold water from the tap and then warm it in the microwave to avoid yucky warm water from the tap. 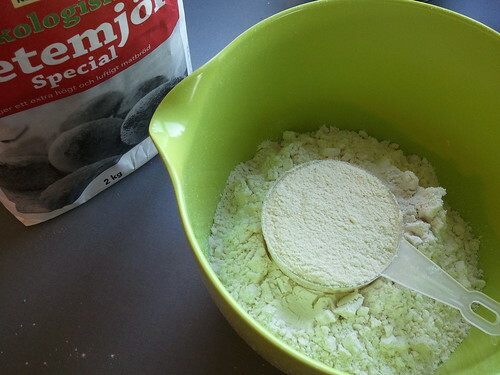 After mixing water and yeast, the rest of the ingredients are mixed – flour added a bit at a time. 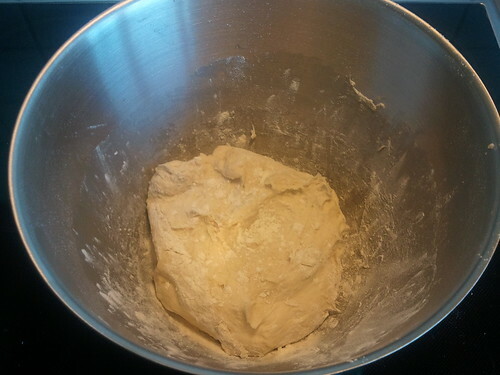 Mix for about 10 minutes until dough is nice and elastic. I could have taken a photo of the pizza nicely plated, but actually it hardly hit the plate before I had devoured it. Yum yum yum! They were still nice too eat, but not the heavenly chewy chocolatey brownies that I had been looking forward too. 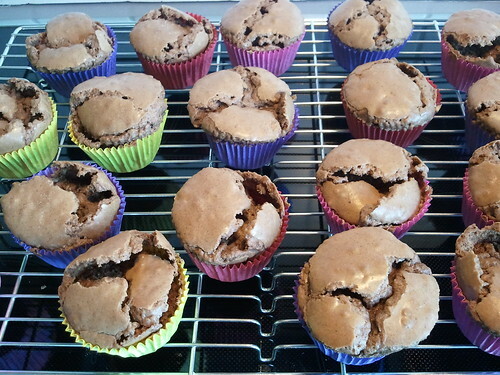 I wondered what went wrong and wanted to try again, but I find it difficult to find the time to bake with a baby in the house, so time went by and not until yesterday did I try to bake them again. 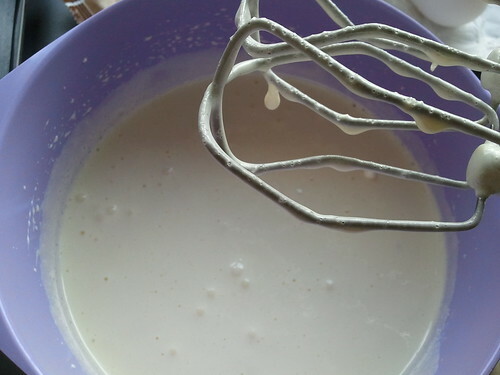 The recipe says to combine sugar, eggs, flour and vanilla, but I decided to whip sugar and eggs to a creamy white fluff before adding the flour and vanilla. 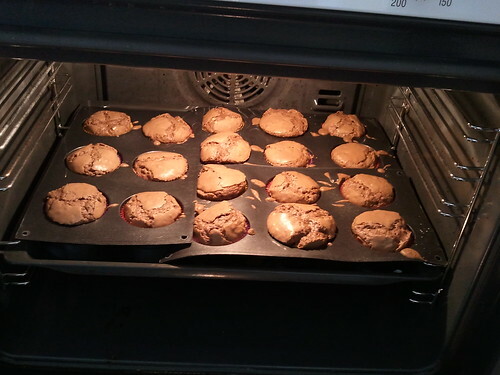 The recipe was for 18 cups, but I had batter left even after filling 18 cups with slightly too much batter, so not to self is to fill them less. Trouble is that they take 35 minutes to bake and that seamed like too long too wait for baking just 6 more cups so I threw out the left over batter. 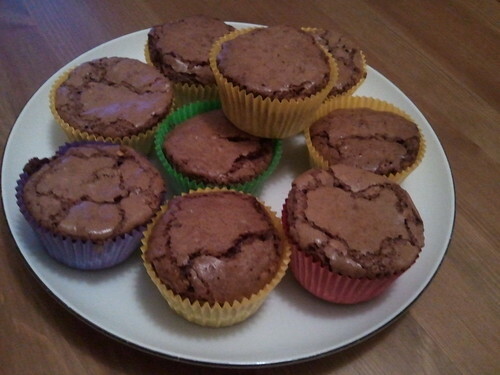 The finished brownie cups warm and ready to eat! My verdict is that they were not as good as my first try, but better than my second try. I know where I went wrong this time. 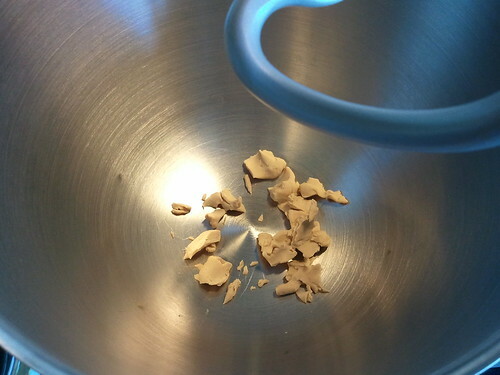 I hadn’t bought the perfect chocolate and just used what I had in the kitchen which was a 44% chocolate. I would definitely recommend a higher percentage chocolate like say 70%. And then I think I left them in the oven for a few minutes too long, but that is something you get a feeling for with a recipe the more you use it.